REED SECURITY DONATES $6325 TO STATION 20 WEST. LOCAL COMPANIES GIVE BACK. Station 20 West Enterprise Center is located in one of Saskatoon's poorest neighbourhoods and provides a "one-stop" approach to medical, health, nutrition, employment and housing services. Participating Organizations include: CHEP Good Food, Quint Developments, Good Food Junction, Saskatoon Health Region, and the University of Saskatchewan. Do You Need A Security Solution? We Can Help! If you are having problems with theft, moving/expanding/building, or would simply like better pricing and service - WE WOULD SURE LIKE TO HELP YOU. 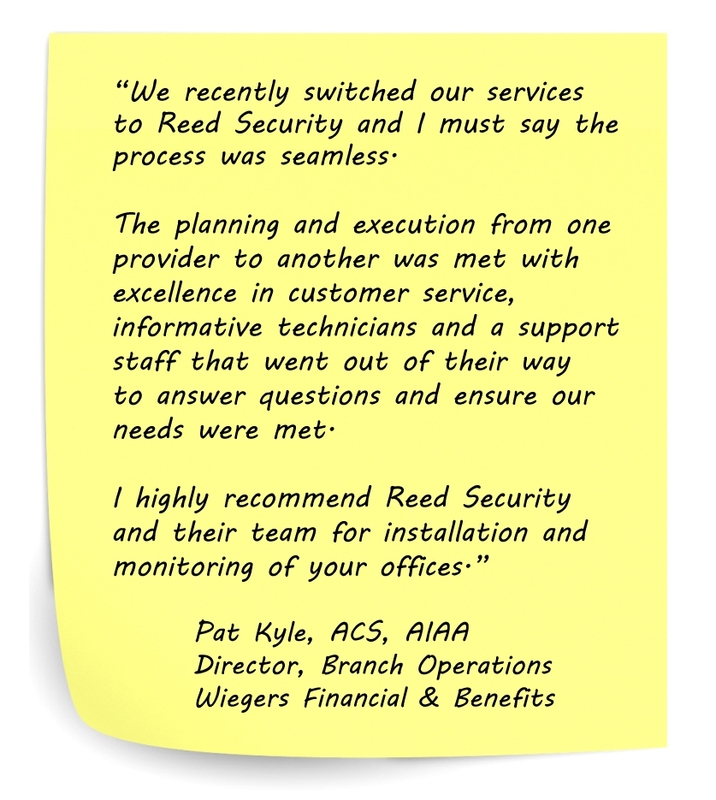 Contact Reed Security today for a no obligation security evaluation. BURGLARS CAN'T STEAL WHAT THEY CAN'T SEE. FLASHFOG BY REED SECURITY. This demo video was taken from a local Saskatoon retailer that was experiencing problems with Smash & Grab theft. Now that they have FlashFog by Reed Security - a burglar will be greeted with layers of ACTIVE SECURITY and backed up with Reed's 24/7 Rapid Response Monitoring. When FlashFog by Reed Security jumps into action to protect your valuables the area is completely filled with a thick white fog, reducing visibility to inches. If this wasn't enough to deter the burglar, the system also includes an incredibly bright, flashing strobe light. The rapidly flashing light prevents any attempts to see through the fog, and draws attention to the scene. A loud 110db siren also ensures your unwanted visitor leaves. The end result is always the same: a fleeing burglar, and your area protected until POLICE have time to arrive. FlashFog is safe as the fog is made out of plant materials, has no odor, and does not leave a residue. Contact Reed Security 306.653.3200 or visit www.reedsecurity.com for more details.